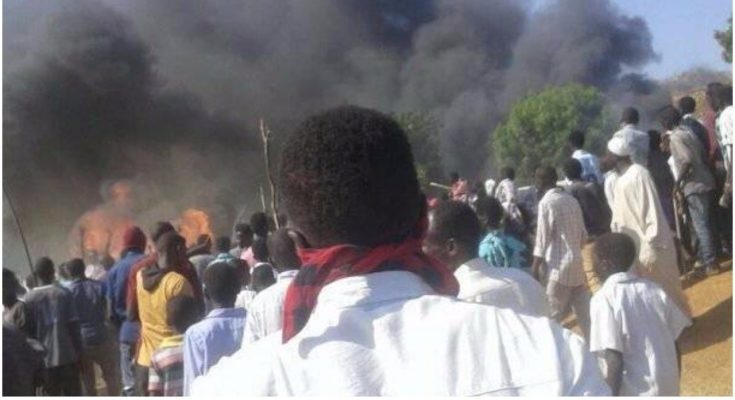 A civilian was killed and three others were wounded during violent protests against the establishment of a cyanide factory in Kalogi, the capital of Gadir locality in Southern Kordofan state. A source said that civilians organized a peaceful march to the home of the mayor expressing concerns that local authorities were not sufficiently concerned with the working conditions and health standards of the gold miners, as well as factory waste being dumped in the area without regard for the environment and public health. This is especially devastating in light of the reality that cyanide is extremely toxic and can have a severe impact on human health. The source added that the police used violence against the protesters, killing one civilian and wounding three others. One of the injured is in critical condition. Once the police had turned violent and protesters set the mayor’s house on fire.